One of my favorite techniques to teach is piecing curves. 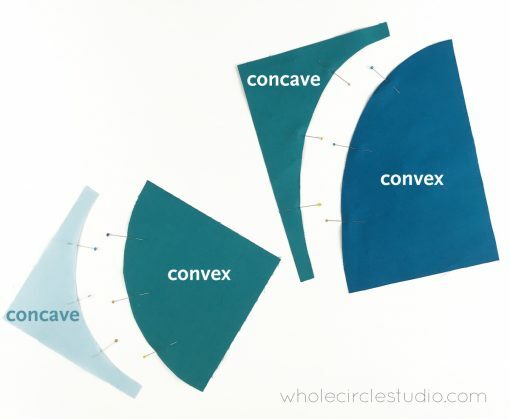 Curves are magical—they look complicated to do, but they’re really not. 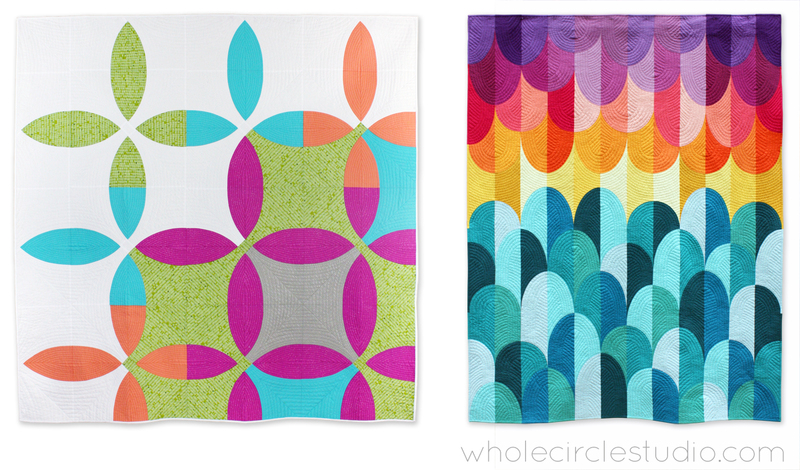 So many quilters are intimidated by curves but if you can sew a ¼” seam you can sew beautiful curves. Seriously. All you need are some tips, a bit of patience and practice. 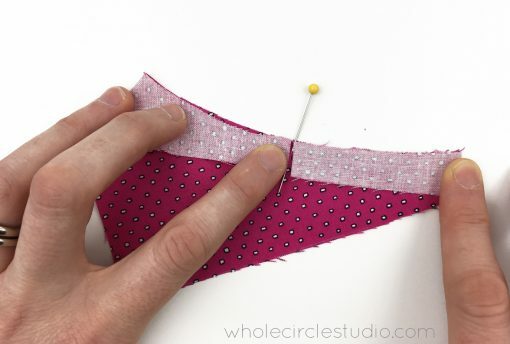 To all you skeptics out there (yes, you) — YOU CAN SEW CURVES! 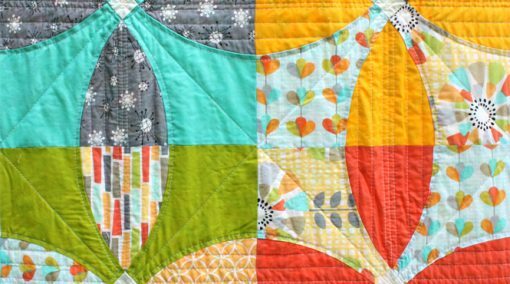 Looking to try something new and add a different type of block to your toolbox? 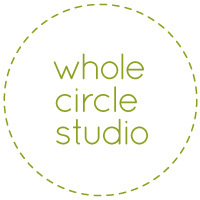 Let’s try making some curves! 1. If you’re super anxious about trying curves, start with a block design that has a gentle curve, like a Flowering Snowball block. 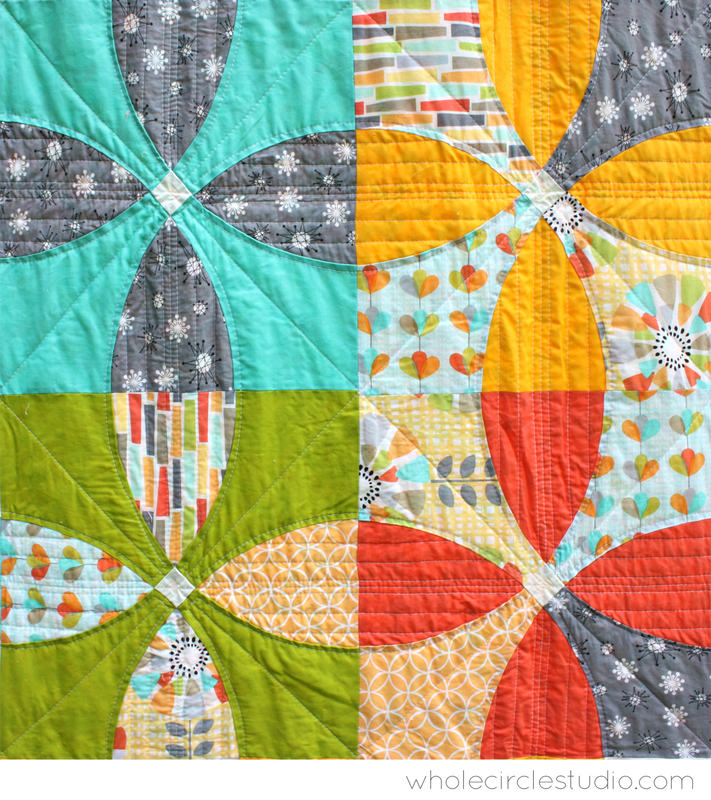 Detail of Picnic Petals, a modern quilt pattern based on a traditional Flowering Snowball block. 2. Starch your fabric prior to cutting. 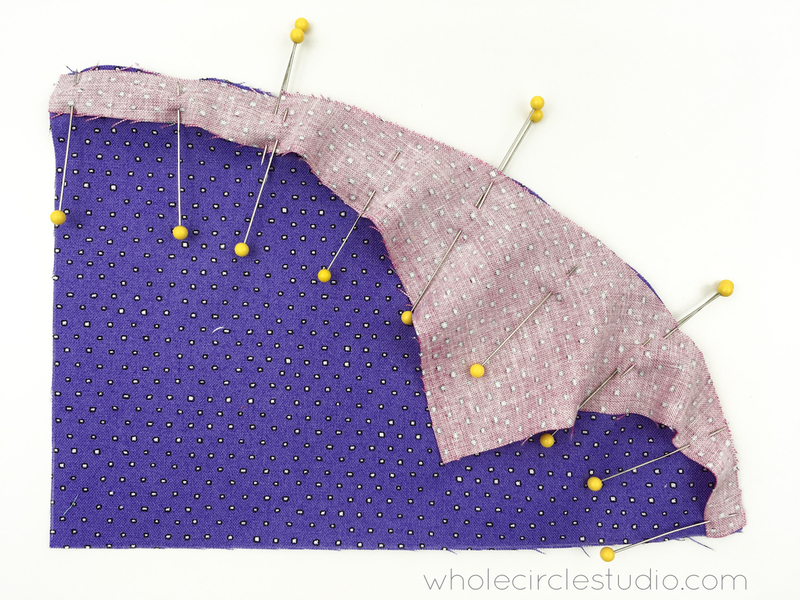 This will prevent the edges from fraying, especially when working with curves. While I love Best Press and other smoothing sprays, when it comes to preparing for curves, I use plain old starch on my fabric. I like to apply by spraying and pressing using brands of starch like Niagara and Faultless (found in most supermarkets or Target in the laundry aisle). 3. 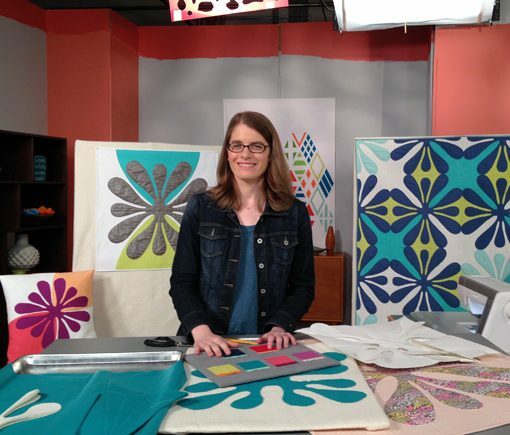 If you use templates that you trace and cut (on cardstock or plastic template material), take it slow! Accurate templates are important to achieve good results. • I like to use a rotary cutter (that I dedicate for paper) for the straight lines and paper scissors for the curves. 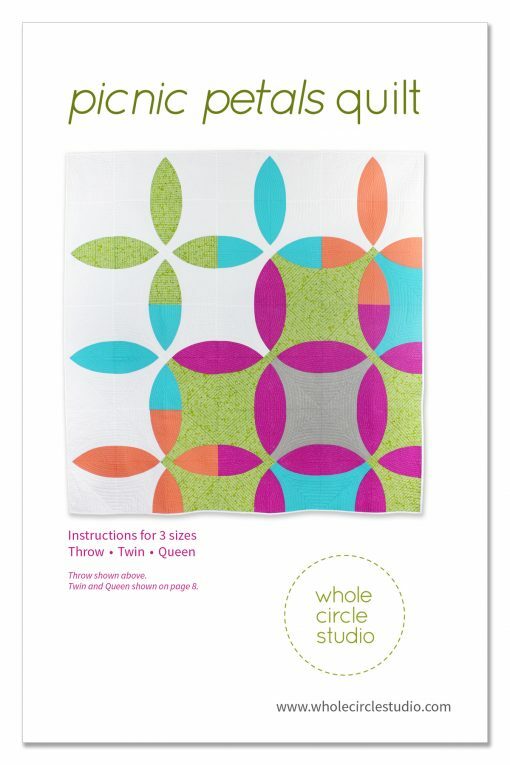 • If cutting accurately is a challenge, consider selecting a pattern with matching acrylic templates. 4. 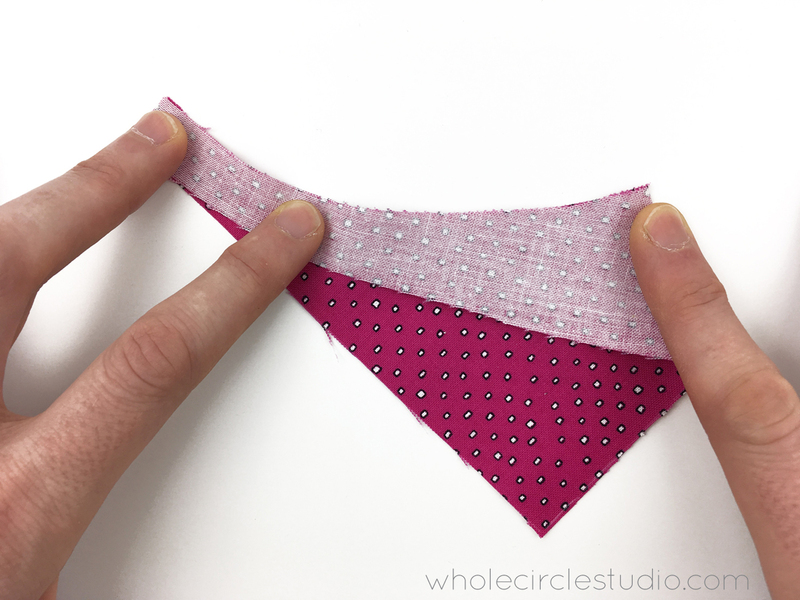 When cutting your fabric (traced from your cardstock, plastic templates or directly from acrylic templates), continue to take it slow! You want to be as accurate as possible since you will be using the curved cut raw edges as a guide for your scant 1/4” seam. I find that I cut more accurate pieces when using a combination of sharp fabric scissors and a small 28mm rotary cutter. Try both and see what works best for you! 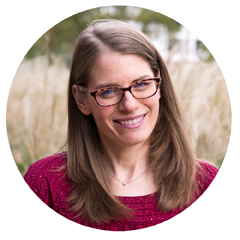 Pinning takes extra time, but I find that the results are well worth the effort. I take the two curved pieces (a convex and concave piece) and mark the centers of both curved edges by folding them in half, unfolding and placing a pin at the creases. I then fold the bottom and top edges to meet the center pin, keeping the edges aligned, unfold and place pins at the creases. Once these marking pins are in, I position and pin (right sides together) the center marks of both the convex and concave pieces together. I then match the remaining marking pins, pinning the fabric together, assuring the raw edges are aligned. Lastly, I pin the edges together to meet. 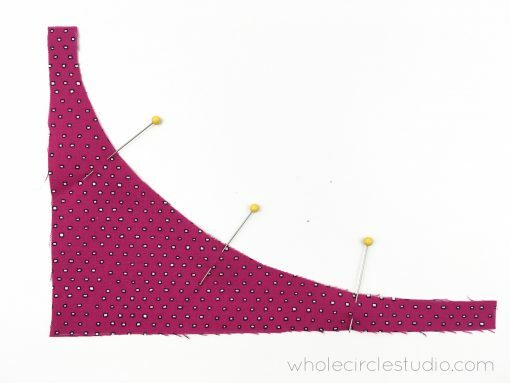 You’ll need to stretch/manipulate your fabric slightly to get all of the points to match up. 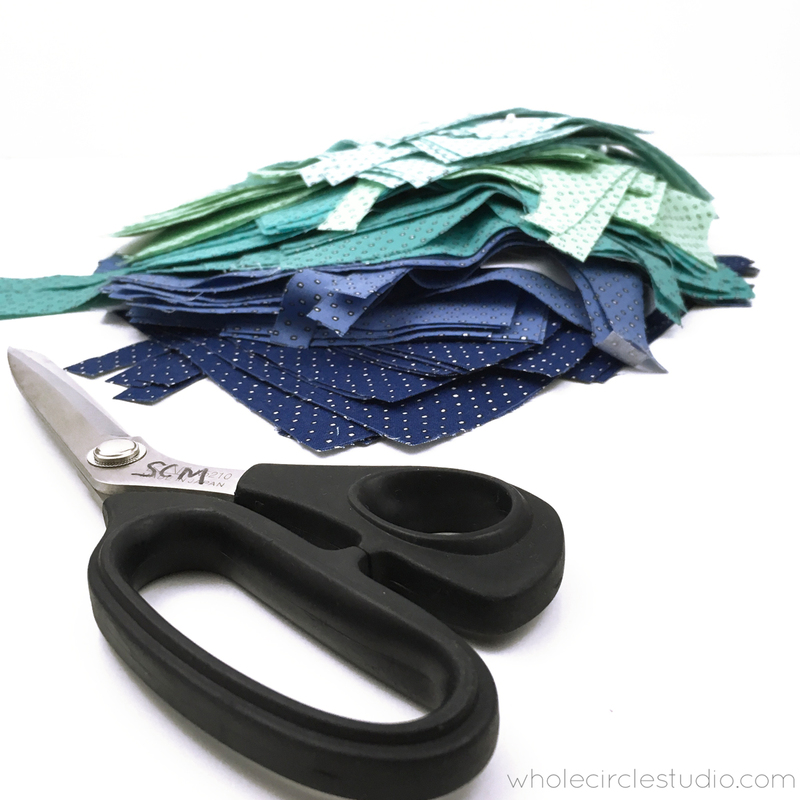 You will find by starching your fabric before you cut it, this prevents your fabric from fraying like crazy. 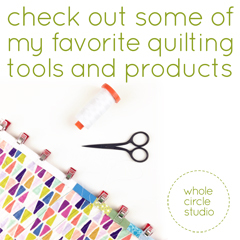 The pinning isn’t over yet! I add additional pins in between to keep the raw edges aligned. 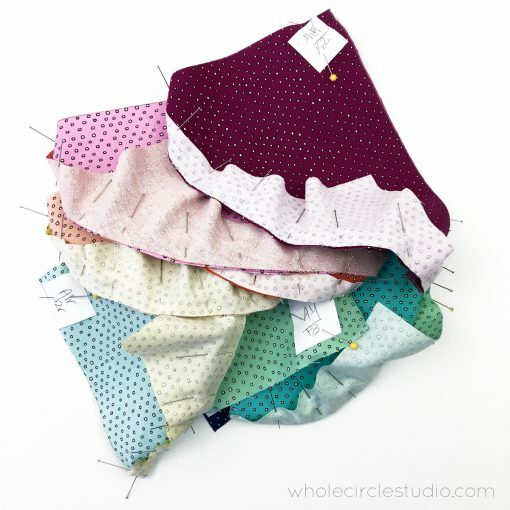 Yes—this is A LOT of pinning, but so helpful when you’re on your machine. I typically have a pin every 3/4” to 1”. 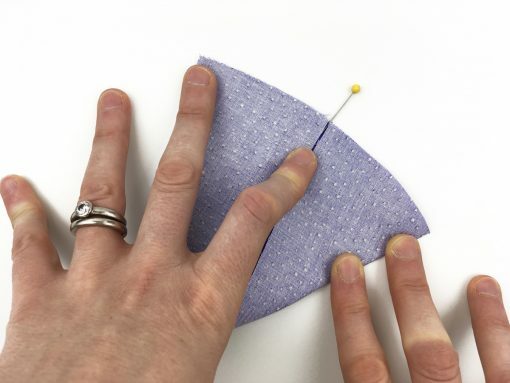 Be sure to remove the marking pins you inserted to indicate the folds. BONUS TIP: Don’t panic. 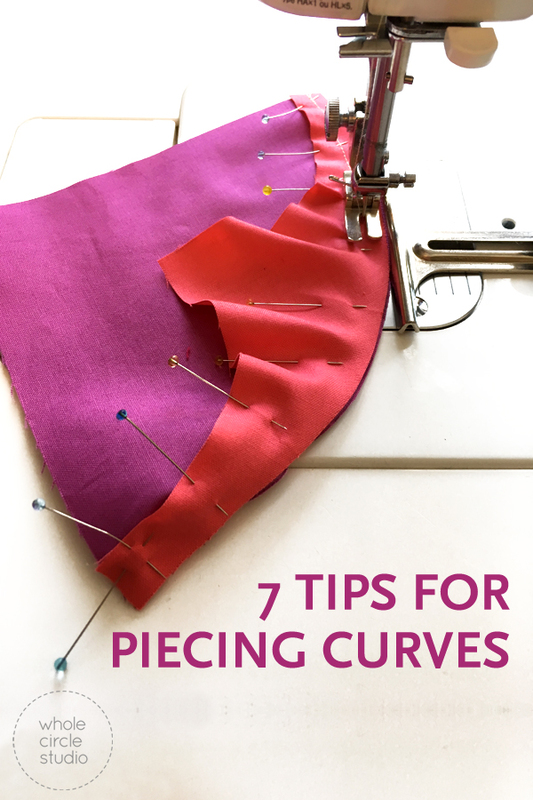 Your pinned pieces won’t lay flat due to the nature of sewing curves. They will lay flat after you sew. 5. Sew slowly and stop if you need to! 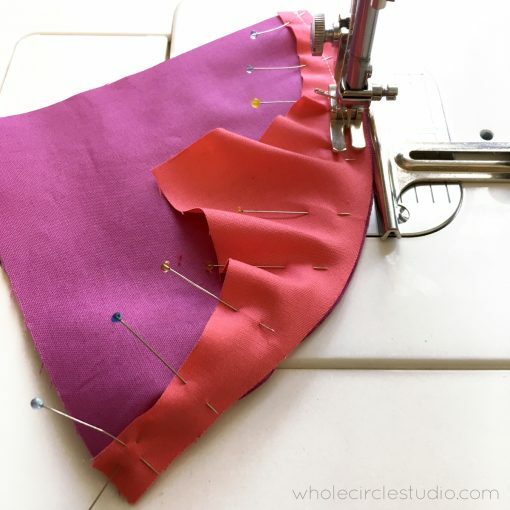 When sewing curves, go slow and make sure the raw edges stay aligned as you go along. You may have to stop and adjust the fabric to avoid pleats. Make sure to always stop with the needle in the down position so your block stays put on the machine. Use a ¼” presser foot or a seam guide (shown in the photo below) set to a scant ¼” from my presser foot, to get the perfect seam allowance. 6. Sew with your concave piece on top. 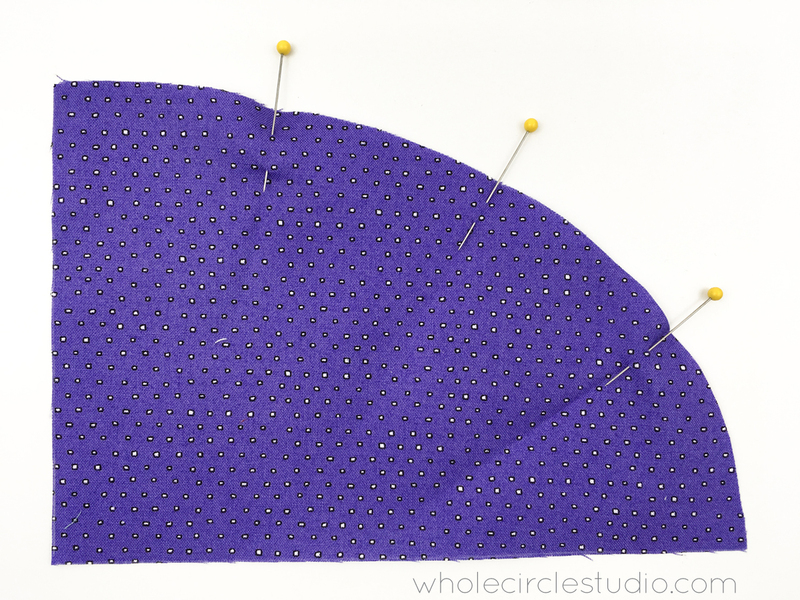 I find it a bit easier to control, but if it doesn’t feel right to you, try sewing with the convex piece on top. 7. Getting puckers or pleats? Stop more often and with your finger make sure your layers are laying flat in the area you’re about to sew together. With some practice, you’ll be sewing a beautiful curve in no time! Make cutting pieces for Big Island Sunset even easier! Get a Big Island Sunset Acrylic Template set. Questions? 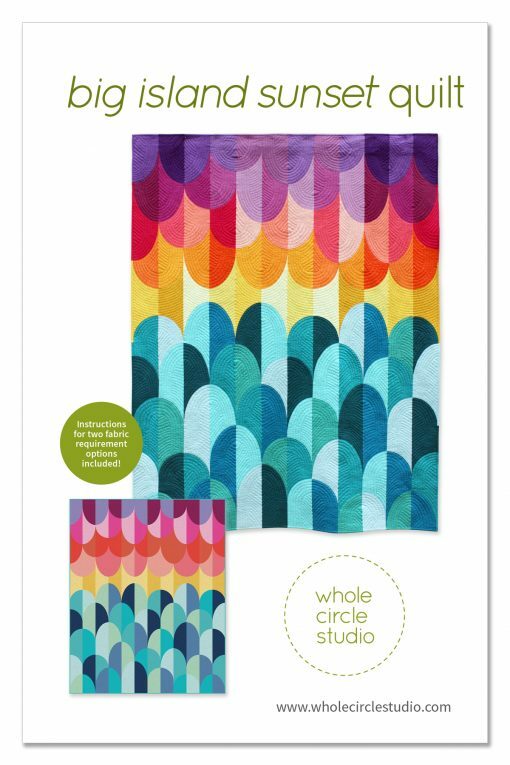 Have curved quilt progress updates to share? Comment below! Great tips! Instead of pinning, I have used glue. It was not faster overall, but it made it so much easier at the sewing machine. I used Roxanne’s glue which came in a bottle with a very fine tip. 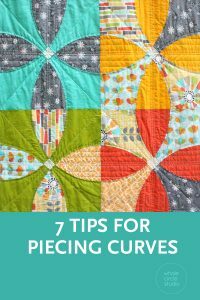 This makes me want to do some more curved piecing!